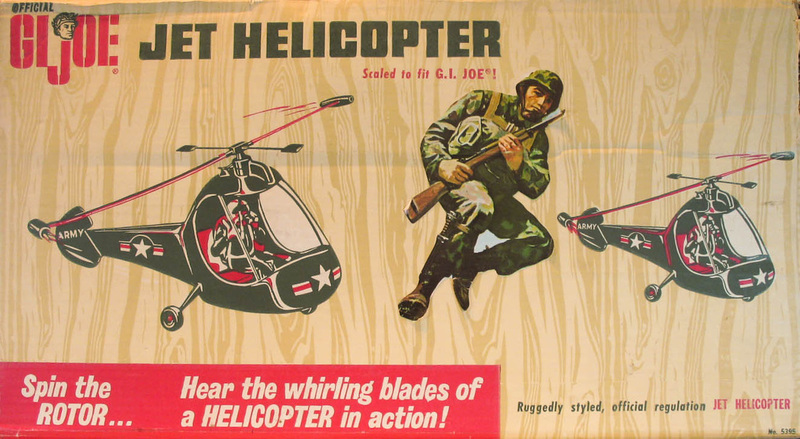 The Jet Helicopter (5395) is modeled after a one man 'copter called the Hiller Hornet. 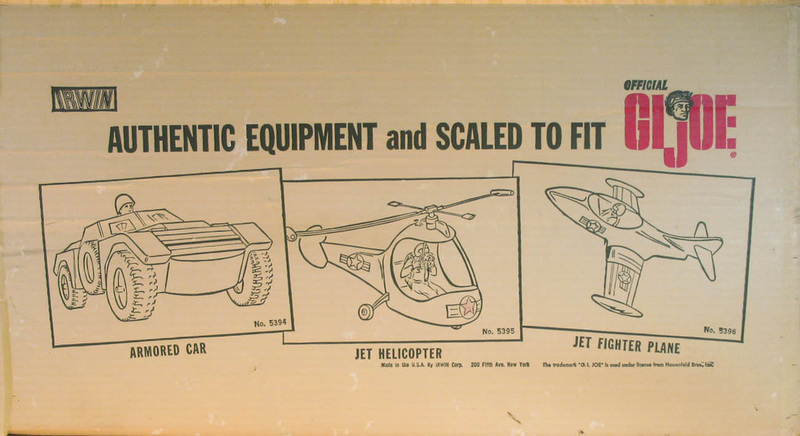 It came on a plain mailer box, or one of two woodgrain versions, the one below, or a rare one with a die cut window and a cardboard pilot in the seat. If you have an example of that to share, please contact me. 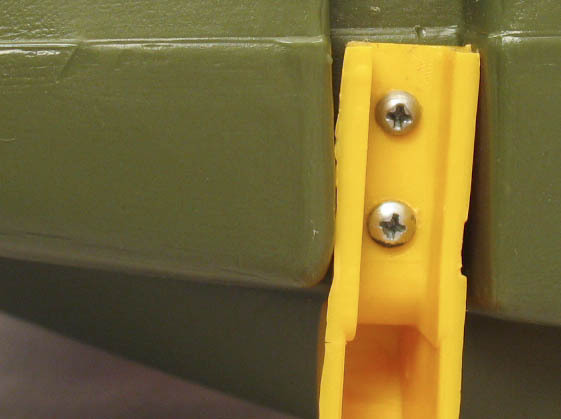 The yellow landing gear come in two forms, as a single molded piece secured with two screws, or as two separate pieces secured with two screws each as shown left. The top of the windshield can have either a hole or a slot to attach it with a screw to the fuselage roof.